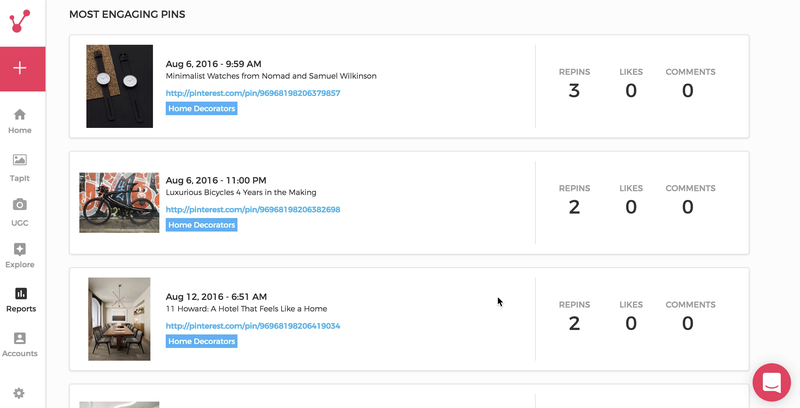 In the reports section, you will also find a tab specific to Pinterest. 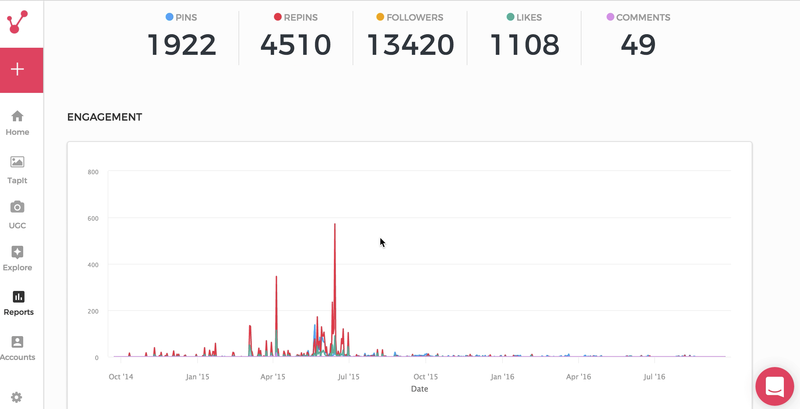 Here you can measure and analyze your Pinterest activity. 1. The data at the top of the graph shows you the number of Pins, Repins, Followers, Likes and Comments for a particular set time period. 2. 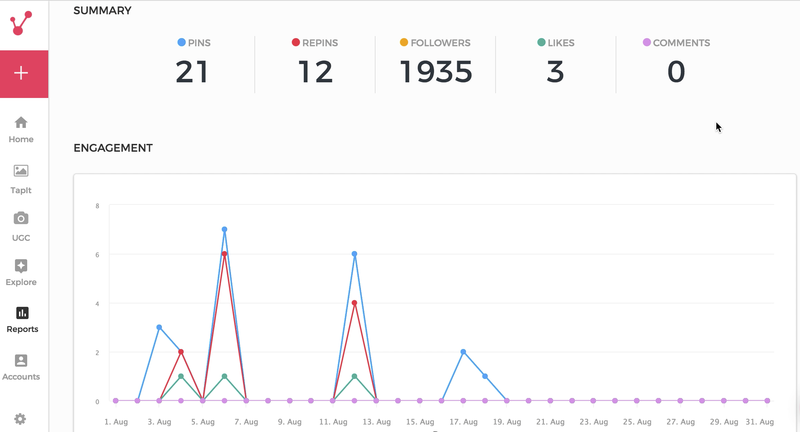 The graph line shows your pinning activity for a particular time period. If you hover your cursor over the blue line in the graph, you will be able to see the number of pins you have pinned on a particular date. In addition to this you can hover over the red line to see the number of repins, and the green line to see the number of likes. 3. 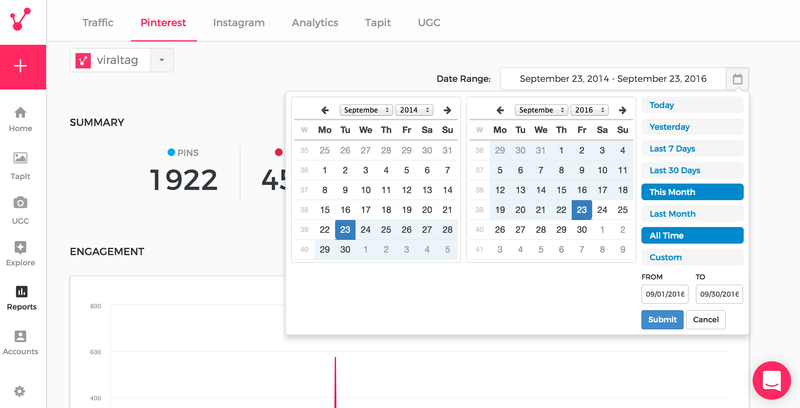 You can also change the date range by clicking on the date range that appears on the top right hand corner of the graph. You will get multiple pre-set options such as Today, Yesterday, Last 7 days, Last 30 days, This month, Last month, All Time, and Custom. You can also manually enter in the dates. 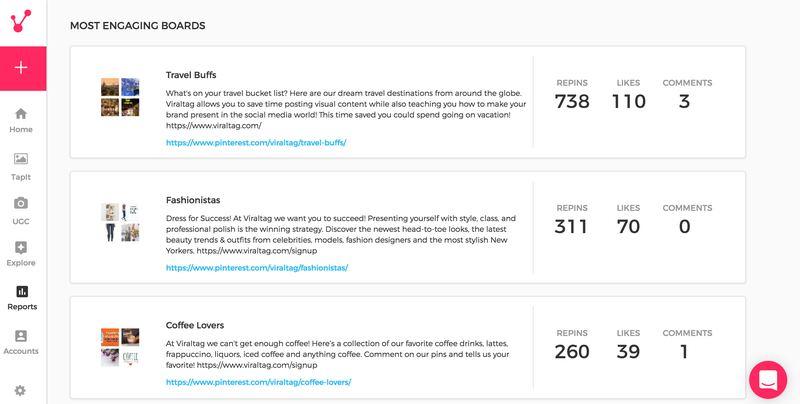 If you click on "All Time", you will be able to see your Pins, Repins and Likes for the time your Pinterest account has been active, month-wise. 4. You can also take a look at the growth in the number of Pinterest followers under the "Followers Growth" section. The yellow line in the graph depicts the number of followers in a particular set time period. 5. 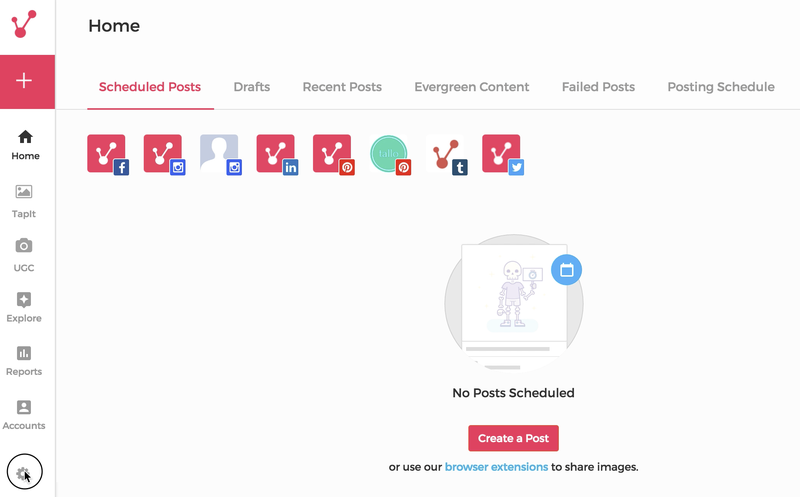 Under 'Most Engaging Pins' and 'Most Engaging Boards' you can view Pins/Boards that have been repinned the most and have got maximum likes and comments.